The survey of mines and minerals is a specialist subject, recognised throughout the world by the mining industry as requiring a certificate of competence to work in an environment that is alien to many people. Mining surveyors survey and set out underground mine development and relate the surface features to underground mine workings, direct miners on new roadway development and map all sorts of other man made features in civil engineering including tunnels, sewers and caverns. Mining Surveyors also collect data on surface mines to provide information to the mining engineers, geologists and mine planners. The surveyors set out the excavation and benches for a quarry, record the mineral deposit and calculate the volumes of material being moved. They are an integral part of mine management as they collect all the information for other disciplines within the team. Surveyors set out the mine development based on the information from the mining engineers and geologists to maximise mineral production. The surveyor keeps all the mine plans up to date for the safe operation of the mine or quarry. Mineral surveyors in the United Kingdom are able to value mineral workings, reserves of minerals, void spaces created by mines or quarries for waste disposal and assess compensation for minerals that cannot be worked due to roads, railways, canals, powerlines or pipelines. Our surveyors use a number of techniques to value mineral bearing land and these can include the recognised valuation methods used by geologists and engineers both in the UK and overseas. Most geologists or mining engineers will use the methods devised by the Joint Ore Reserves Committee of Australasia (JORC), CIM N43-101 in Canada and the European Code for the UK, Ireland and Europe. Mineral Valuation by Chartered Surveyors is regulated by the RICS Red Book and can incorporate the above codes in the United Kingdom, based on the reserves, usually with planning permission – resources usually within the landholding and mineral bearing land that could be acquired. The volume of material available is meticulously assessed by surveys, boreholes, trenches and geophysical surveys, if need be, to provide the reserve that can be worked and the mineral that will be processed and sold. From that, information and income stream can be attached to the mineral deposit over a number of years using low, medium and high risk scenarios. As most of the minerals in the UK are owned by the landowner, except for coal, oil, gas and precious metals, then there is an income stream to the land owner, known as a royalty per tonne, and the income stream to the operator after all costs, known as the profit per tonne. To carry out the valuation, the surveyor will require proof of the landholding, the deeds to the property, planning permission, any geological data and an agreement between the client and the landowner. Minerals surveyors are expert in providing heads of terms and negotiating leases for companies to work a wide range of minerals, as they are aware of the methods of working. 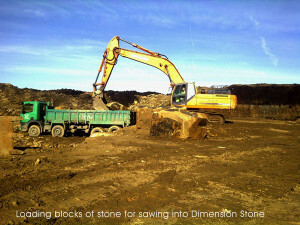 Minerals may be worked at the surface, such as aggregate, or underground, such as gypsum or coal. Our surveyors have over 30 years of experience in mineral valuation and have been involved in a number of instructions for companies to acquire both construction materials and industrial minerals worth between £5 million and £15 million. We undertake lease negotiations on behalf of landowners or mining companies to acquire working rights and advise the legal profession on the requirements to work the mineral profitably and in accordance with the planning permission and any environmental permit. For any other information, please do not hesitate to contact this office and speak to John or Sandra Carlon.